Recently, Tridel was delighted to host a group from the Toronto Professional Fire Fighters Association (TPFFA) for the highest ever rooftop camp out in Canada. Started in 2005 in Edmonton, the Rooftop Camp Out is a fundraising event that helps support and raise awareness for Muscular Dystrophy Canada. 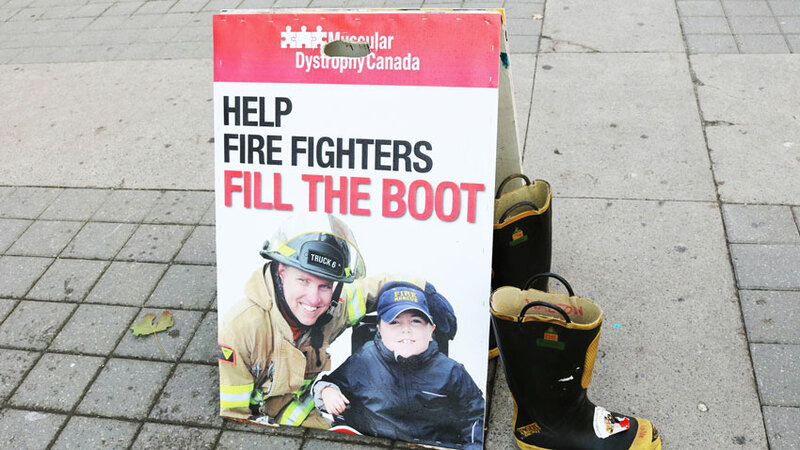 Fire fighters camp out on the rooftop of a building to help collect donations from the community, sponsorship from local businesses and to fundraise for Muscular Dystrophy Canada through “boot drives” in the community and online. Toronto Fire Fighters had never participated in a Rooftop Camp Out, so when the opportunity presented itself, Tridel knew it could help make it a record setting event. 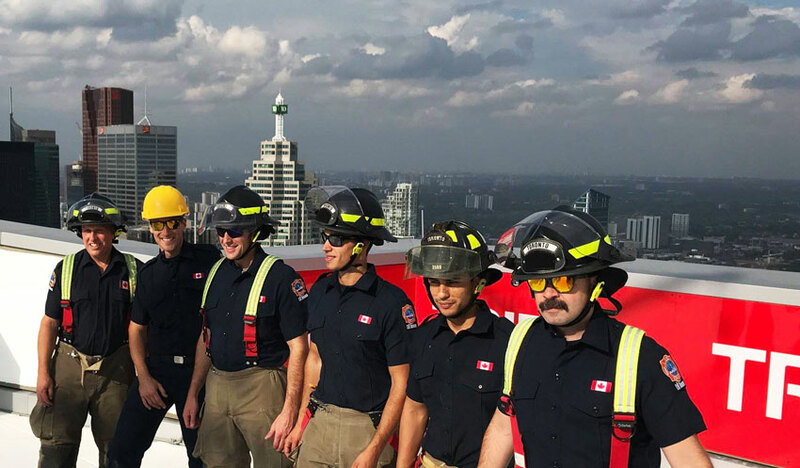 From Friday, September 21st to Sunday, September 23rd, we proudly hosted fire fighters who camped out on the rooftop of Ten York, more than 65 storeys above the streets of Toronto, making this the highest Rooftop Camp Out ever held in Canada. Over the weekend, Fire Fighters raised funds outside a Toronto Argonauts football game during a ‘boot drive’, where passersby are encouraged to fill a fire fighter’s boot with spare change. The Tridel Take Action team were also on hand on the Friday evening to help collect funds outside a Toronto Blue Jays game. Overall, the event was a great success. Lasting approximately 50 hours, the Camp Out also helped bring awareness to those suffering from neuromuscular disorders in Canada, generating a lot of media coverage. During the camp out, the fire fighters and Tridel were proud to host visitors such as Roger Petersen from CityNews, Breakfast Television and even welcomed Mayor John Tory, who stopped by with coffee for the campers. 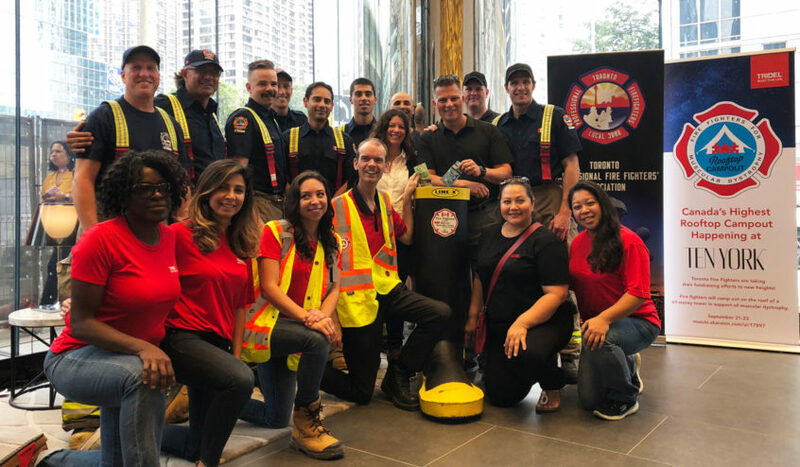 A huge thank you to everyone who came out to support this great initiative and to the construction and building management teams at Ten York who helped make this event possible for the Toronto Firefighters and Muscular Dystrophy Canada.